Your Hotel Room May Be Protected by Patent - Gottlieb, Rackman & Reisman, P.C. Sometimes, patents are granted for inventions which may not seem innovative or novel. Did you know that you might be in a hotel room that is protected by patent? U.S. Patent No. 9,194,143 is owned by Six Continents Hotels, Inc., which is a company related to Holiday Inn. 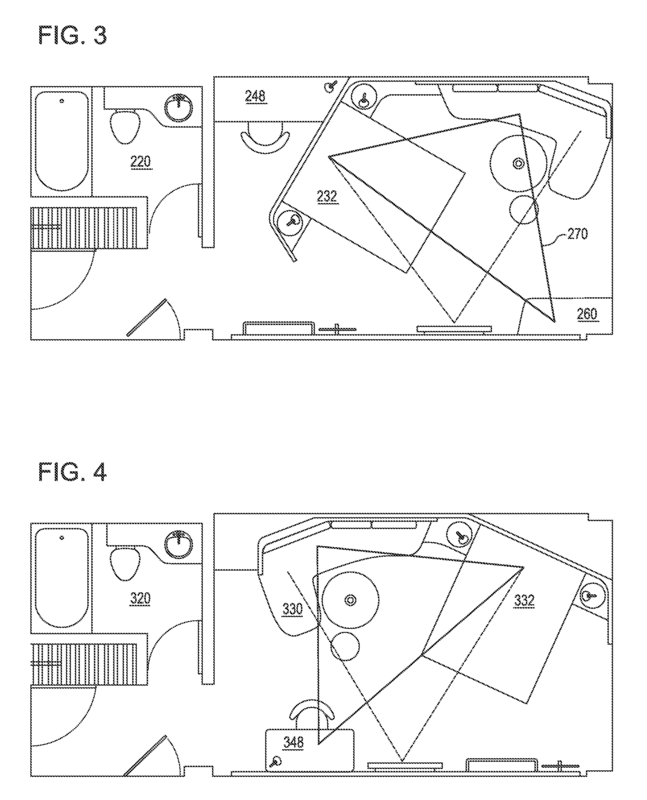 They received patent protection for the layout of a hotel room, where (in some claims) the room includes a bed, a television, a sofa, and a bathroom, and also an angled wall behind the headboard, such that both the bed and the sofa face the television at similar angles and there is a pocket space behind the bed. See Figure reprinted from the patent.